EuRIC is pleased to share amendments to the proposals made by Norway to amend Annexes II, VIII and IX of the Basel Convention which would impact the classification of plastic waste under the Basel Convention with the declared objective to curb marine litter. The Waste Shipments Regulation (WSR) is a vital piece of legislation. The EU guarantees free movement of goods, services and people. It has strict rules in place to ensure that not only waste shipments are safe and traceable, but also that the waste is properly treated at its final destination. The Regulation unfortunately is implemented by the Member States with largely differing enforcement rules. Consequently, the shipments of wastes for recycling are often hampered resulting in counterproductive results. In order to ensure a smooth functioning of EU waste markets, an update of the Regulation, which guarantees the implementation of harmonized rules and procedures across the EU Member States is vital for the completion of the EU Circular Economy. Particularly the improvement of notification procedures of waste shipments to compliant recycling facilities, producing secondary raw materials, offers huge potential. A first Fast-Track Notification pilot project has been successfully approved within 19 working days and testifies of the benefits of speeding up notification procedures, in line with Article 14 of the Regulation. EuRIC is very concerned about the recommendations as suggested by the Expert Working Group onthe review of the Annexes for revisions to Annex IV of the Basel Convention. Certain proposals recommended would lead to legal uncertainty and also negatively impact the classification ofrecycling activities. Annex IV of the Basel Convention in its original form has functioned for thirty years, and still does soin the EU’s Waste Framework Directive of 2018, ensuring its first revision still supports and not harms the European recycling industry is essential. The European Recycling Industries’ Confederation (EuRIC) strongly welcomes the publication of the Roadmap to evaluate the Directive 2000/53/EC on end-of-life vehicles (ELV Directive). As a reaction to this roadmap, representing one step ultimately leading to a review of the ELV Directive, EuRIC calls on the European Commission to seize this opportunity for (i) solving the issue with a large number of vehicles of unknown whereabouts in Europe and (ii) making dismantling and recycling of ELV easier by introducing binding eco-design measures. The European Recycling Industries’ Confederation (EuRIC) warmly welcomes the provisional agreement on the Single Use Plastics Directive (SUP) setting a binding target of at least 25% of recycled plastic for PET beverage bottles from 2025 and a target of 30% of recycled content by 2030 for all plastic bottles. EuRIC is pleased to share preliminary comments on the proposals made by Norway to amend annexes II, VIII and IX of the Basel Convention which would impact the classification of plastic waste under the Basel Convention with the declared objectives to curb marine litter. FEVE, FERVER, EXPRA and EuRIC are committed to increasing the quality and efficiency of the glass recycling value chain through separate collection, quality recycling and closed loop manufacturing of glass. To help us achieve this, we support a single, harmonised, ambitiousand enforceable calculation methodology for glass in all Member States. The proposal made in the ENVI Committee to set an unintentional trace contaminant (UTC) of 10 ppm for decaBDE in the Annex I of the POP Regulation, which is 100 times lower than the threshold set by the REACH restriction, will put an end to plastics recycling from WEEE and ELVs in Europe. European plastics recyclers from WEEE and ELVs contribute to remove large quantities of hazardous substances from the material cycles and accelerate their phase out. For this reason, EuRIC urges the European Parliament to support amendment 30 tabled by Mrs. Julie GIRLING, Rapporteur of the ENVI Committee, which is vital to preserve state of the art plastics recycling from WEEE and ELVs in Europe while strengthening environmental standards, in line with the aim of moving towards a more circular economy. EuRIC and all the co-signatories of this joint statement urge the Council to support the binding target of at least 35% recycled plastic in beverage bottles by 2025. EuRIC welcomes the publication of the Communication and Staff Working Document proposing different options to address the interface between chemical, product and waste legislation. 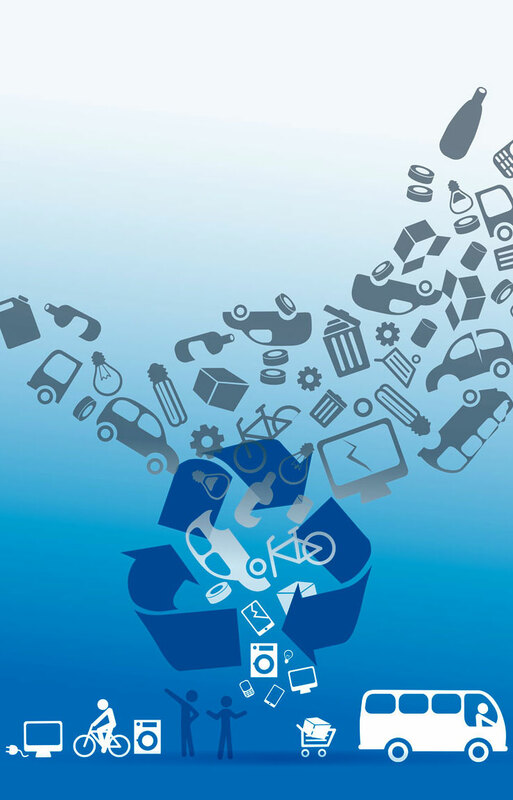 These documents rightly frame the main issues hindering the transition to a circular economy. However, some of the solutions (proposed in the form of options) to those issues are not ambitious enough to foster circular material flows.